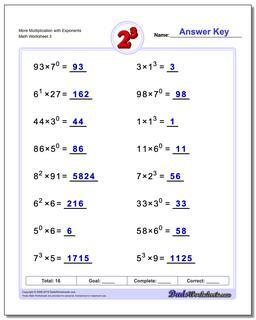 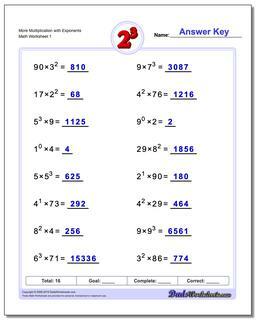 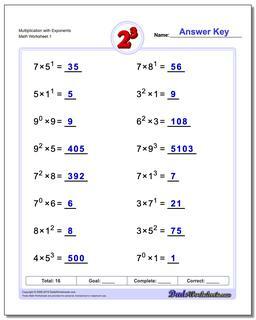 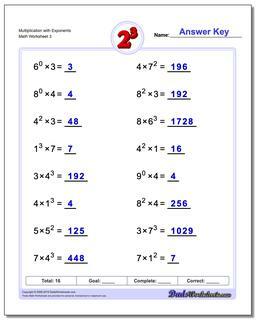 Practice exponents worksheets mixing exponents with simple multiplication. 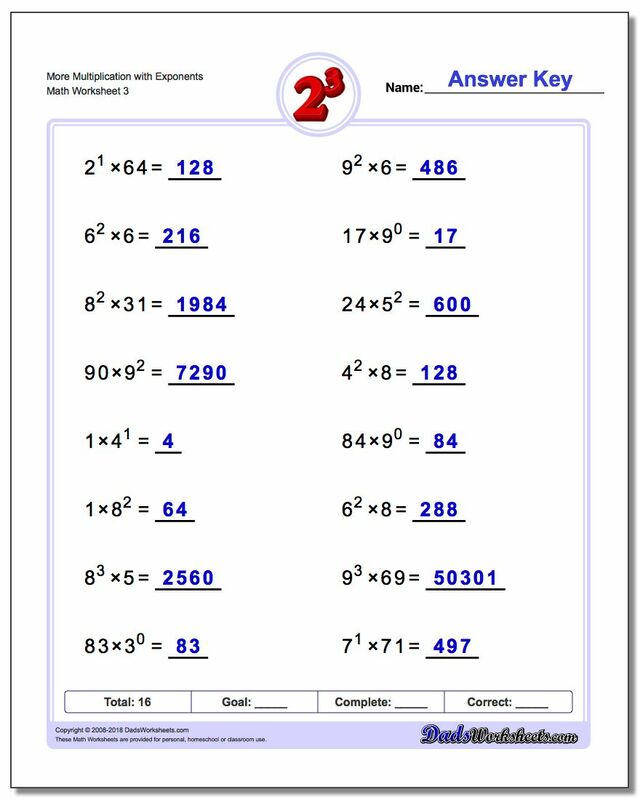 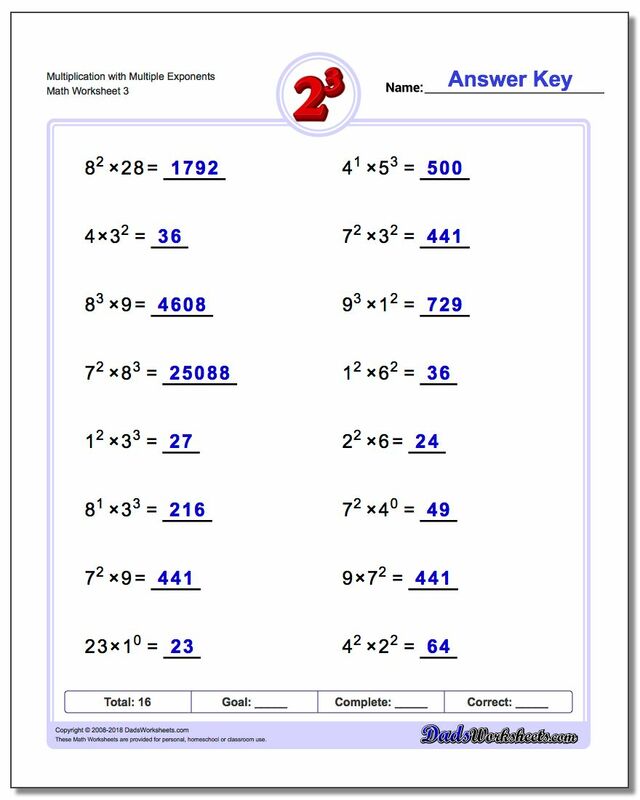 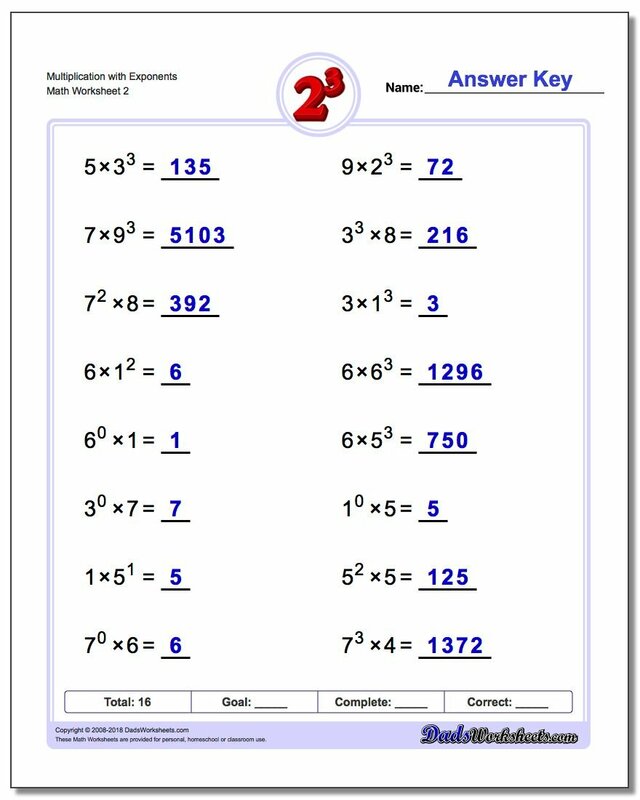 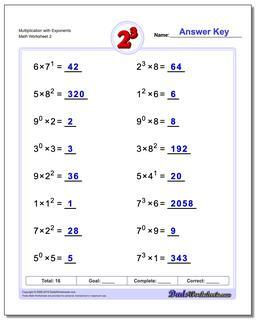 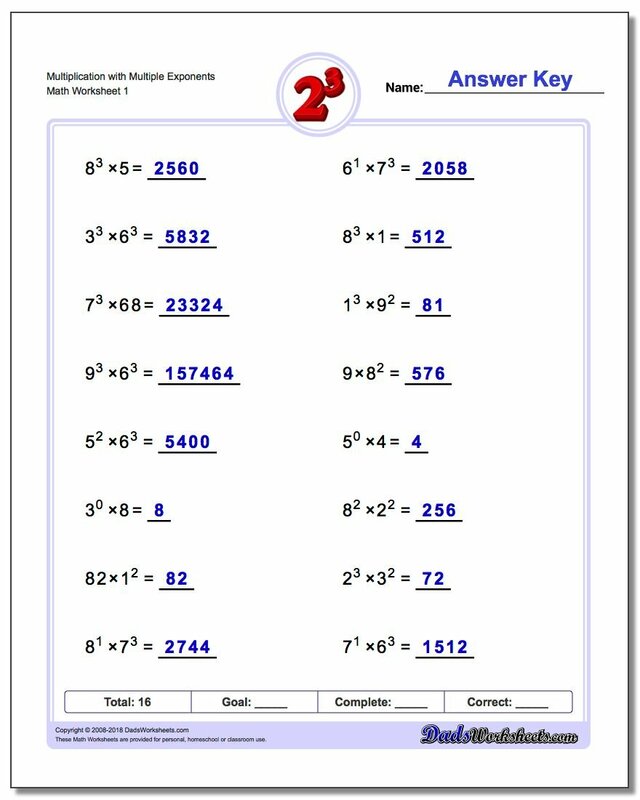 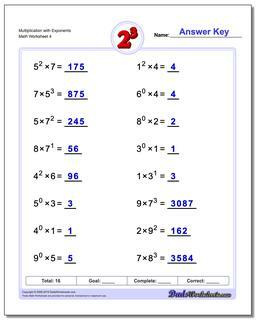 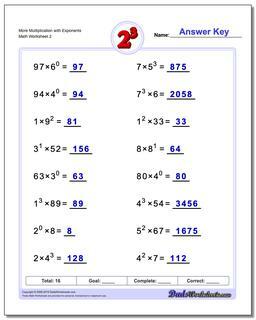 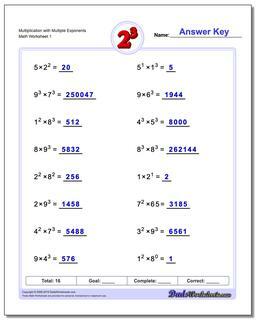 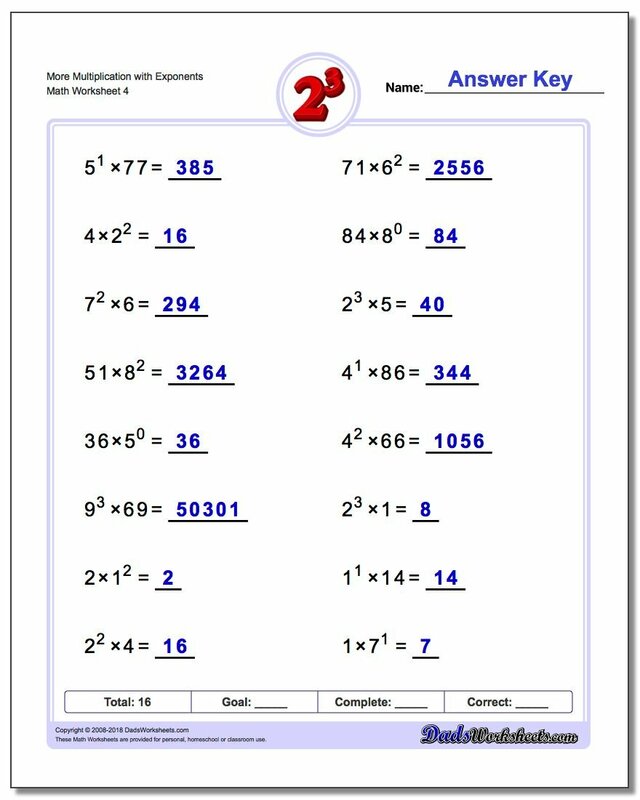 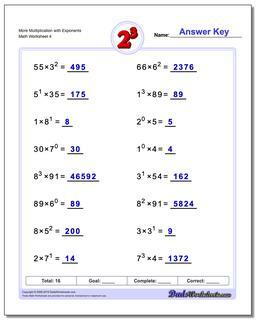 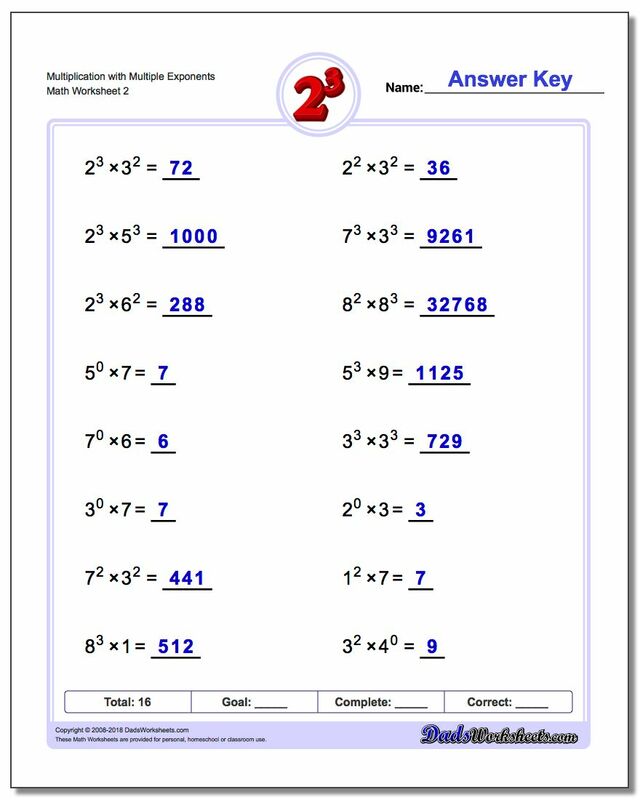 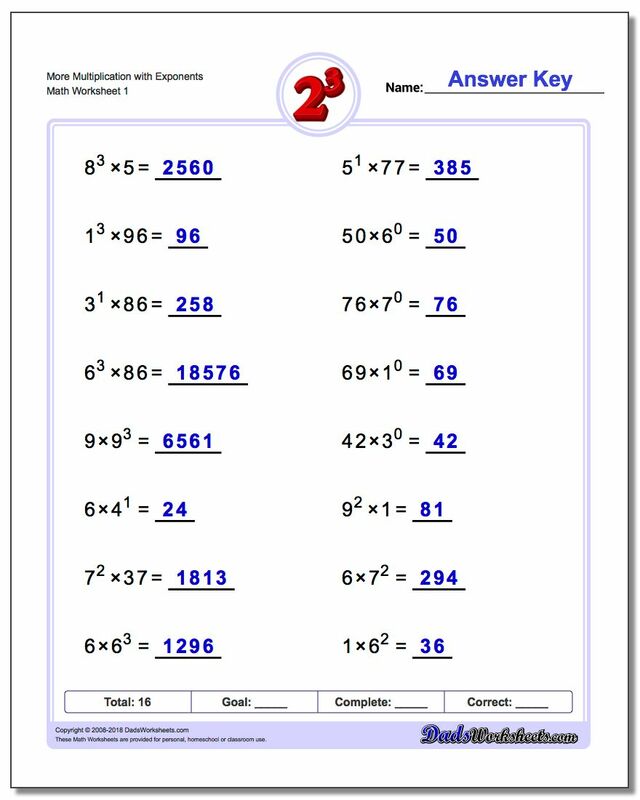 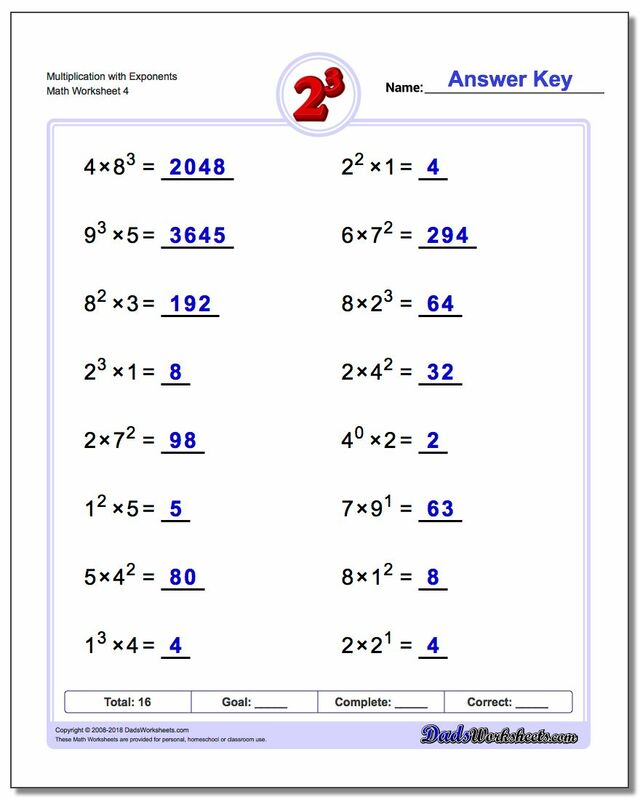 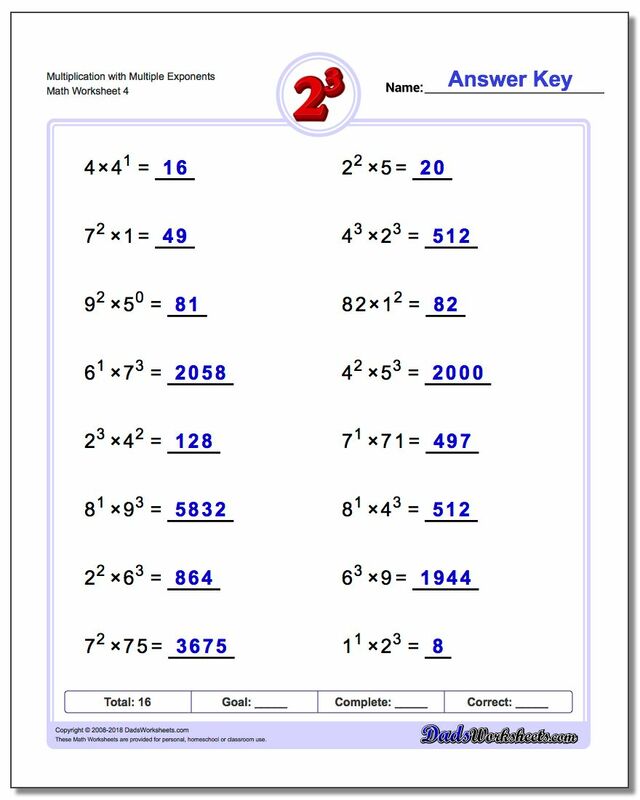 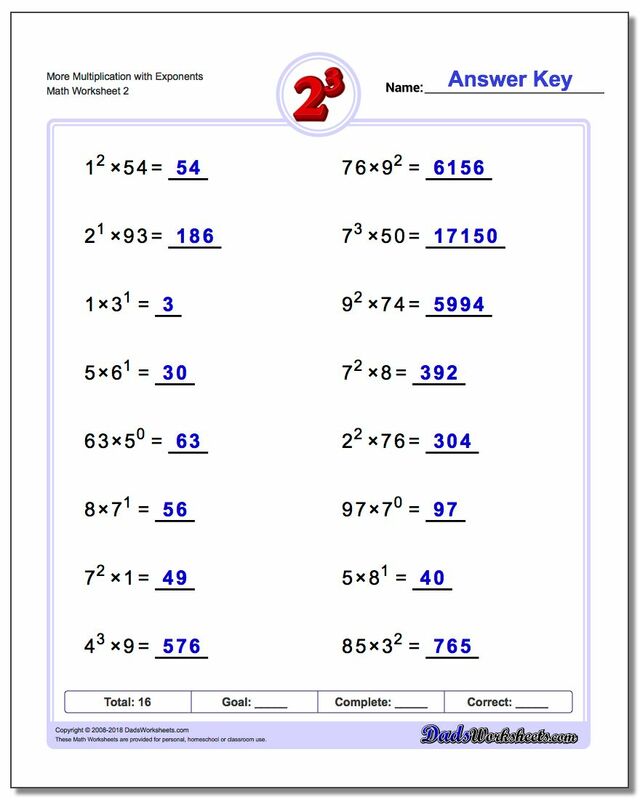 Again, these are fantastic exercises for enhancing student comprehension of basic order of operations concepts where exponents are involved. 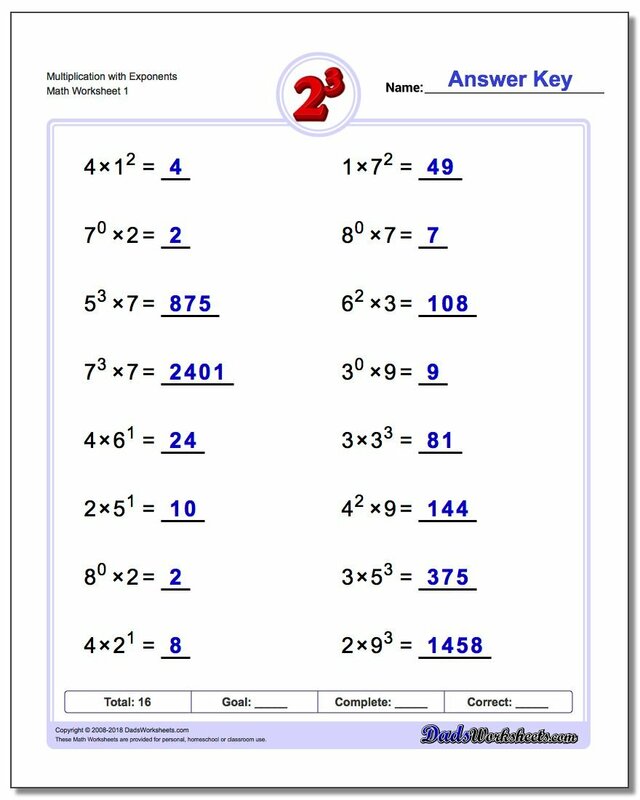 This set of exponents worksheets provide practice multiplying simple exponential terms against numbers. 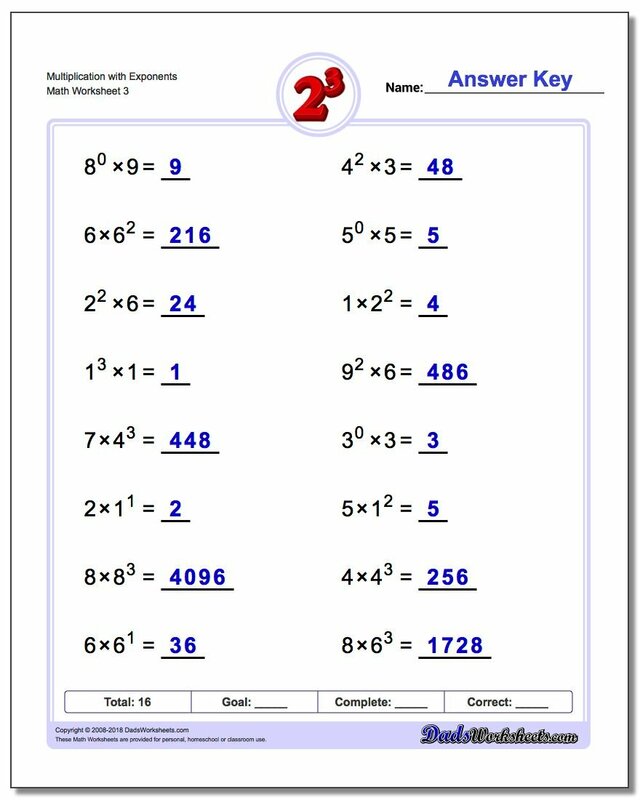 These worksheets provide a gentle introduction into working with exponents in otherwise typical multiplication problems, and help reinforce the order of operation rules necessary to solve more complex problems later.